You may be hearing the phrase wage garnishment for a couple of different reasons. It could be because you owe back taxes, student loans, child support, or owe general debt towards an entity. What is wage garnishment? It’s when a court withholds your pay in order to immediately send it to the party you owe, whether it be for debt, child support, or any other reason. If you’re facing wage garnishment, you may wonder: what do I do? The quickest and most direct way to suspend your wage garnishment is to declare bankruptcy. But there are other ways you can work through this trying and difficult economic time for yourself. And there are ways to do it without bankruptcy if you need. Wage garnishment is frustrating, stressful, and a real blow to your finances. But here are some ways you can respond to the situation to get your finances back on track. Declaring bankruptcy is, in a lot of ways, like crying uncle in a situation. It’s a way to allow you to completely start over financially. This stops payments and allows you to work through different methods of paying off your debt, depending on which chapter you file for and what your attorneys advise. But, you can’t declare bankruptcy simply to escape wage garnishment, the court will look at your income and other factors to make sure your case has weight and you’re truly in dire financial straits. 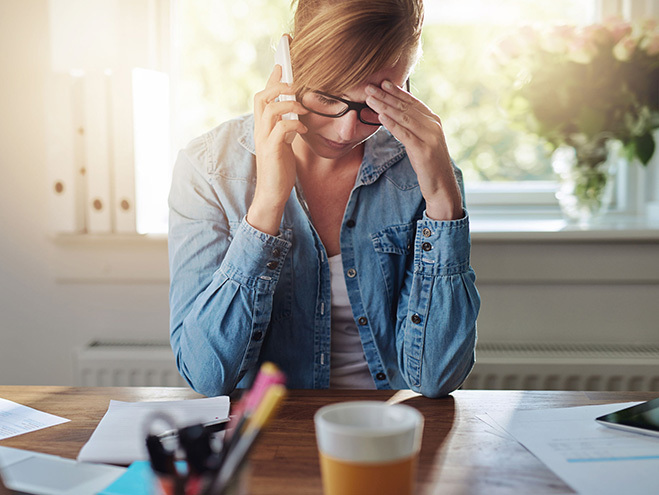 In the majority of cases, you will get a final warning letter, a demand letter, giving you one last chance before wage garnishment is implemented. The thing is, debtors prefer voluntary payments. Wage garnishment is frustrating and time consuming for them as well. So, if you respond to this letter, there’s a chance you can stop it before it even begins. This isn’t a sentence you have to sit with, especially if the owed party has been paid or is demanding too much. Seek legal counsel and file objections to the garnishment notices if you think you’re being treated unfairly by your debtor or owed party. This is especially true for more personal cases such as child support. Filing for bankruptcy isn’t a box easily checked. You have to file for the correct chapter based on your situation and how quickly you want to pay off your debtors. There will be an audit of your situation to ensure you qualify for bankruptcy and, if you attempt to loan out assets prior to declaring, you’ll find yourself in even more financial and even legal trouble. Seeking out an experienced, knowledgeable and trusted bankruptcy attorney is important. It will make your experience less stressful and done in a timely manner. The most common types of garnishments are for student loans, back taxes, alimony, child support, or any unpaid bill. It’s not simple though. To start the process, they must first file a lawsuit, obtain a money judgement, and then a court order. They also must give you one last warning and chance to pay before they begin garnishing your wages and your place of employment must also provide you with documentation before it begins. Wage garnishment is scary and more than a little bit frustrating. But it doesn’t have to be a death sentence to your finances. There are ways around it and ways to fight it if you’ve been unfairly garnished. Do research and talk to a personal bankruptcy attorney. Personal bankruptcy could be an option for you to stop wage garnishment! Hines Bankruptcy Law Firm can help. When you work with a Bankruptcy Attorney from our Law Offices in Massachusetts, we give our clients the ability to fight back. Don’t let the large financial institutions push you around. Our law firms throughout the Boston area and beyond, will put our decade of experience to work for you. From the moment you call, rest assured, you will be dealing with an experienced and knowledgeable bankruptcy attorney.